When the tech industry was burgeoning in the ’90s, Jason Lim started a tech company that dabbles in web design, programming and online marketing. The opportunistic timing of the Web craze resulted in a very lucrative business. The company started with just 2 employees, and it slowly grew to over 20 staff with offices in Singapore and Malaysia, before it was acquired in 2014. After the marine engineering graduate sold his IT company, Jason looked at venturing into the food industry. For the next two years, he traveled frequently to Japan and his love for ramen naturally led him into researching more about the dish. He went around Japan sampling various types of ramen and attended ramen trade shows and exhibitions. Jason also enrolled into the famous Yamato Noodle School in Kagawa under the guidance of principal Kaoru Fujii, who also runs Yamato Manufacturing, which makes its own noodle-making machines. His classmates were all in the ramen business, including ramen celebrity chef Ivan Orkin. 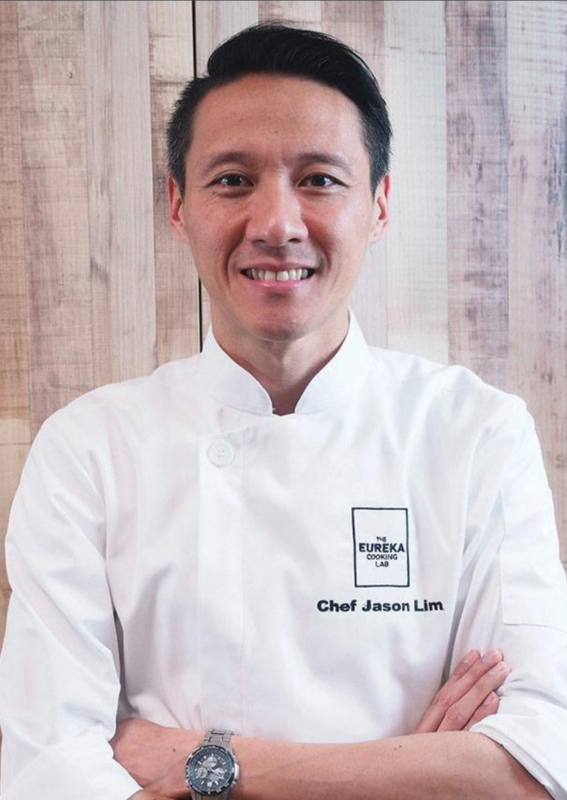 According to Jason, he spent over $5,000 to attend a week-long course there, which emphasises on “digital cooking” or precise measurements and procedures. At Yamato, Jason learnt everything there is to know about ramen – from preparing the broth from scratch, making different flavoured oils, and how to make chasu (stewed pork belly). 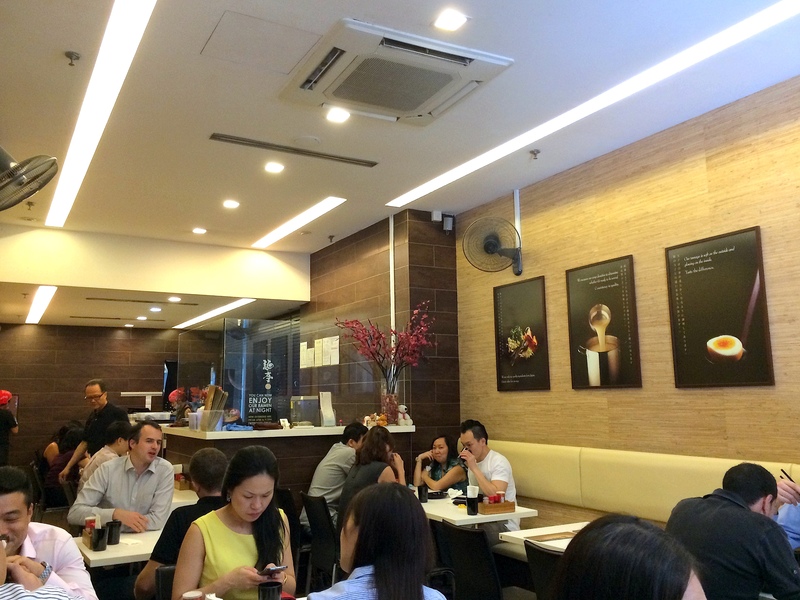 When he returned to Singapore, he invested $200,000 to start up Men-Tei Ramen at Robinson Road in 2006. “Yamato Noodle School is unique in some ways because they don’t just give you the recipes for the various types of ramen. Instead, they give you the scientific formula behind creating the recipes so you can tweak the flavours,” said the 44-year-old. With such a scientific method of cooking, every bowl of noodles he churns out consistently smells and tastes delicious, leaving no room for errors. Whipping up a good bowl of ramen boils down to the process, not the chef, said Jason. But it was still tough for him to figure out the mechanics of cooking in large quantities. “[Learning] how to cook 10 eggs is very different from cooking 100”, he told The Straits Times. Working out precise measurements for ingredients and sauces also required a lot of trial and error, he added. 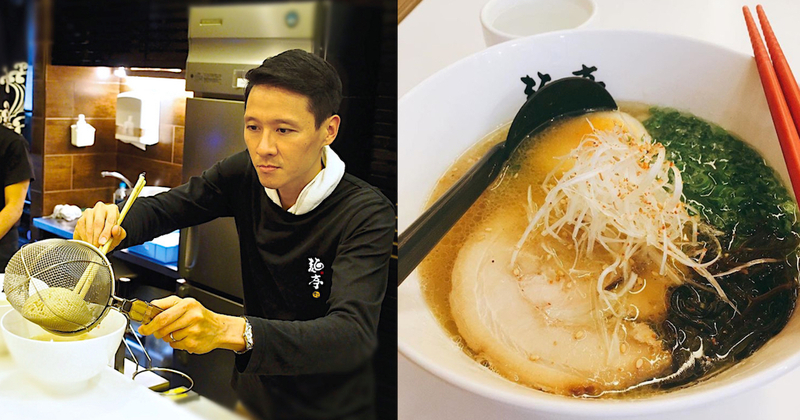 But once he perfected the recipe and methodology, it justifies why Men-Tei Ramen is touted as one of the best ramen restaurants in Singapore, as reviewed by well-known food blogger Dr Leslie Tay. ‘Men-tei’ actually stands for ‘noodle hut’ in Japanese; and true to its name, it resembles an actual ramen-ya in Japan. 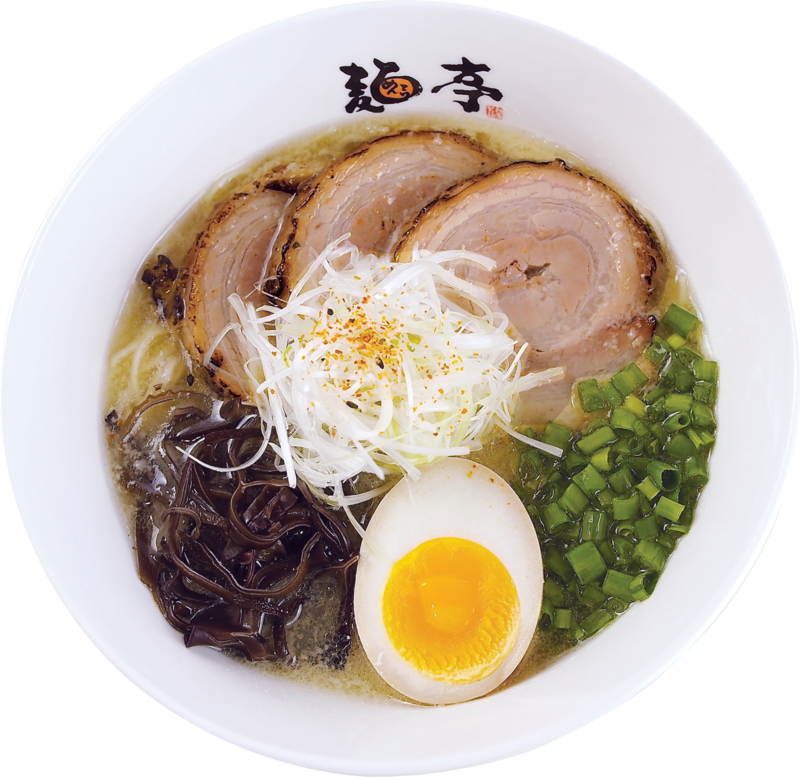 According to Jason, Men-Tei Ramen is a casual fast eatery that maintains a “eat-and-go” concept, just like the typical ramen joints in Japan. It’s a very cozy and compact joint and if you walk briskly along busy Robinson Road, you might not even realise that you’ve walked past its glass doors. And the interesting thing about Men-Tei is that it only caters to the CBD lunchtime crowd, opening from 11.30am to 3pm on weekdays only. Despite the short opening hours, business was still brisk, especially at launch. “We were sold out almost everyday by 1pm. We had to push ourselves harder to prepare more ingredients to serve more,” said Jason. Orders were so overwhelming that his dishwasher actually walked out on him on the third day, complaining that there were too many bowls to wash.
Men-Tei Ramen broke even in just two years, and its revenue was relatively stable over the years without much fluctuations. However, sales dipped slightly compared to its first 6 years of operation and Jason attributes this to the increasing number of ramen shops in the CBD. Despite this decline, many franchising offers came pouring in on its fifth year. In 2010, he became a ramen consultant, teaching and helping people to set up their own ramen businesses around the world. He charges an average of $30,000 per project. His projects are not limited to just Singapore, and they have led him to other countries such as Indonesia, China and the United States as well. 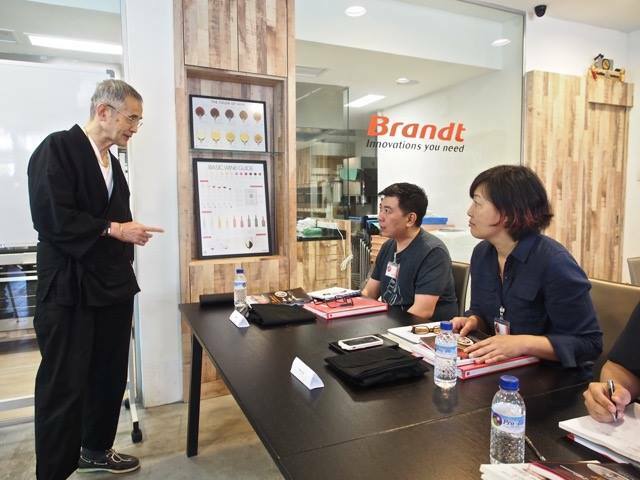 And because he actively recommended Yamato noodle machines to all his clients, Yamato Manufacturing appointed him as its distributor for Singapore and the region. Then in 2013, he co-founded cooking school The Eureka Cooking Lab with his business partner to grow the consulting business. TECL then became Yamato Noodle School’s first, and only, ramen school outside of Japan. The school only takes in eight students per intake, and it conducts a monthly five-day course by Mr Fujii and Jason costing $5,000. Besides Singapore, Jason also conducts ramen courses in Japan, Vancouver, and Paris. Beyond that, Jason signed an agreement last year to bring Men-Tei to Nanjing in China. Sharing a piece of business advice to fellow entrepreneurs, Jason spoke highly of the need for a deep passion.